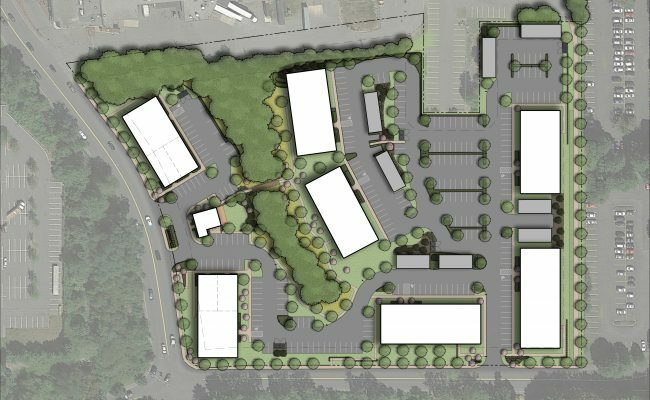 A proposed two hundred & twelve unit mixed-use development on an entrance corridor into Salem MA. 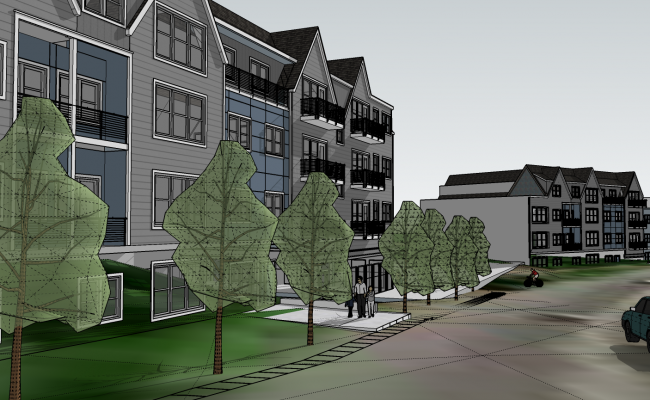 The development connects the adjacent marketing and shopping amenities to the north of the site to existing residential housing through a pedestrian wooded spine and improved sidewalk condition. 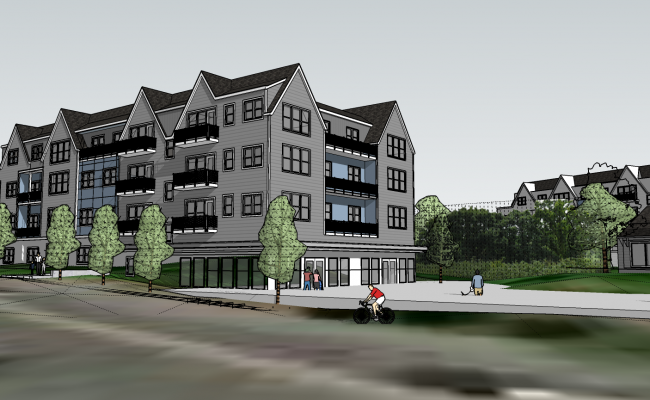 The development includes multiple covered garages and a clubhouse.